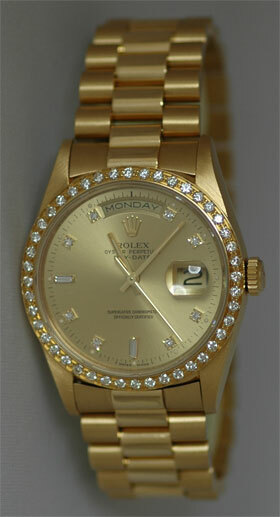 Certified Pre-owned Rolex Men's President with original champagne diamond dial and a custom 1.3CT Diamond bezel. Circa mid 90's. In pristine condition.